Keep your hands and feet inside the vehicle at all times. Reminisce over some of the past wares you remember fondly. Happy Birthday to the greatest game of all time. Re: Banjo-Kazooie turns 20 today. Happy birthday indeed, thank you for 20 fun years! I thought more people would come here today. Steve Mayles has posted a cool happy birthday photo if someone could post it. I know it's not strictly birthday related (unless you count it as late 20 year anniversary merch? ), but I didn't want to create a new topic just for this - is anyone else excited for the Banjo-Kazooie Totaku figurine? ShanPen wrote: I know it's not strictly birthday related (unless you count it as late 20 year anniversary merch? ), but I didn't want to create a new topic just for this - is anyone else excited for the Banjo-Kazooie Totaku figurine? I'll definitely be getting that. The F4F one is way out of my price range. Scrubber wrote: I'll definitely be getting that. The F4F one is way out of my price range. Did either of you end up getting one? I got mine today - the Totaku figures aren't as nicely painted as amiibo figures, but I'm still happy with this one. Banjo and Kazooie finally take their rightful place on my shelf of merch from my favourite game series! 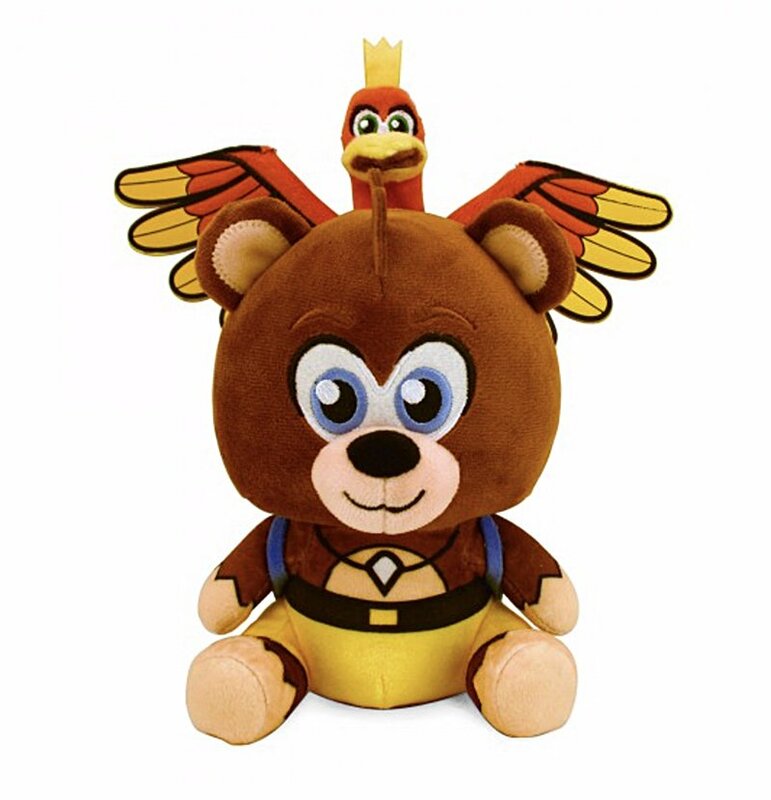 Also Taylor, there is a (albeit weird, chibi looking) Banjo-Kazooie plush coming out according to this that I found on Twitter about some plan for an online Rare merch store. No i didn't know it was out! Oh sorry, I thought since it was available here that surely it would be available for the rest of the world, because Australia doesn't often get things first. Ordered it. When's that ugly plush out? Wish the f4f was more affordable it's beautiful. I'm not sure when the ugly plushie is out because the Twitter status I found it posted in said they were planning to open up an online Rare merch shop sometime, and they just said to keep an eye on their social media channels to find out more. The F4F figure does look really nice, but even if I could justify spending that sort of money I doubt I'd get it because it's so big! I like the size of the Totaku figure but the paint job is not great, I wish we could get a Banjo-Kazooie amiibo in future because amiibo are usually cheaper than Totaku figures (in Australia anyway) and are painted with a lot more care.